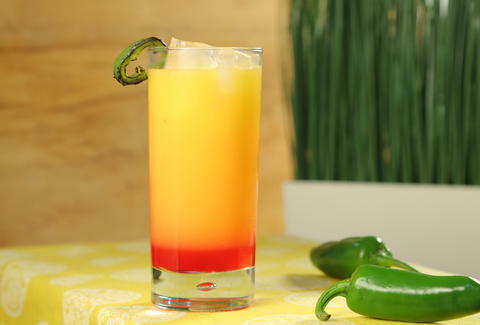 The Eagles Are Lame, but This Jalapeño Tequila Sunrise Sure Isn't! This isn't just another Tequila Sunrise. The original cocktail -- which is composed of tequila (duh), orange juice, grenadine -- was crazy popular in the '70s but our Gimme Some Oven-inspired version gets a bit of update with a spicy grilled jalapeño kick.